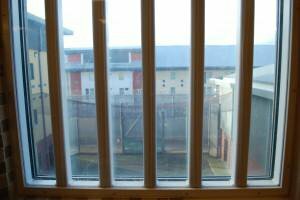 The invisibility of immigration detention centres and the trauma of detention has meant that the heavy psychological baggage many migrants bring back with them into UK communities following their release has also gone unseen and unaddressed. Barbara was giving evidence for a North-EastCommunity Submission to the Parliamentary Inquiry into Immigration Detention. The inquiry has held three oral sessions so far, each one as harrowing as the last. Former minister Sarah Teather and her cross-party panel of parliamentarians have heard from an acclaimed cast of policy experts, legal and medical practitioners, independent inspectors and migrants, like Barbara, with direct experiences of detention. Together, they have helped paint a vivid picture of the UK's detention estate. Violent, unchecked, it is the picture of a system in crisis - one riddled with inadequacies, crippled by inefficiencies, subjugated by political priorities, almost wholly indifferent to the UK’s commitment to human rights, bloated and expanding still. To those of us who work with the people trapped within this system, it is both a deeply distressing and worryingly familiar portrait. And yet, this inquiry – jointly led by the All Party Parliamentary Groups on Refugees and Migration – has also shed light on some other, less well-documented (albeit equally unwelcome) realities facing migrants incarcerated in the UK. In a bid to go beyond the scope of previous parliamentary attempts to examine the use of immigration detention, the inquiry panel have sought to look at the detention system as a whole, and the journey through it from 'beginning' to 'end'. There has of course been extensive research into the brutal, sometimes lethal, psychological and emotional impact of immigration detention (see Medical Justice's excellent 'Second Torture' report, the Royal College of Psychiatrists' position paper on mental health in detention, or Jesuit Refugee Service Europe's 'Becoming Vulnerable in Detention' study, to name but a few). This has been supplemented by mounting evidence on the extent to which detention causes as well as exacerbates mental illness. Articles in this very series, have highlighted precisely how and why the safeguards in place to protect vulnerable migrants simply do not work. The truth is that the UK is generating a unique quantity of evidence on the harm done to migrants in detention and no-one can plead ignorance. The event attended by Barbara was just one of several group-evidence sessions across the UK organised by Detention Action in collaboration with other members of the Detention Forum. It was shocking to hear participants speak about the extent to which detention continues to exert a mental toll on their everyday life. In some instances, participants were still feeling the effect of their experience of detention years after they had been released. Many felt as if they had never left. This testimony-based snapshot of the 'longitudinal' impact of detention is rudimentary and unscientific but it issues several warnings nonetheless. First and foremost, there is clearly a need for more research into the long-term impact of detention on migrants released back into British society – on them as individuals, but also on the families and communities they are returning to. Second is the relevance of trying to understand detention as trauma. Many of those individuals who have experienced detention in the UK clearly continue to demonstrate symptoms of Post-Traumatic Stress Disorder and other depressive disorders - such as flashbacks, panic attacks, feelings of incapacitation, anger, and anxiety - long after leaving detention. (This, incidentally, echoes research in Australia which found that mental health effects persist for a prolonged period after detention, independent of other established predictors of psychiatric morbidity in migrants, such as past exposure to trauma.) The fear here is that, as is the case with many other kinds of trauma, proper rehabilitation following detention could take an extremely long time and even then, might only be possible if accompanied by a degree of mental, physical and financial stability. For those recently released from detention in the UK, that is highly unlikely. Instead, after having been warehoused in prison-like conditions for an indefinite period of time - maybe four months, maybe four years - they are much more likely to find themselves unceremoniously dumped back into the community as if nothing had happened. They will be housed far away from friends and family. They will receive inadequate financial support, inappropriate or no accommodation, and will be refused the right to work. Some will be strapped with electronic tags and governed by strict curfews. All will be expected to pick themselves up even though the odds of reintegration are crudely stacked against them. Such a lack of support only serves to compound the sense of vulnerability, powerlessness and isolation that defined life in detention. The reality is that, unless someone tragically dies in detention, the suffering that takes place there usually goes unnoticed. Detention centres have long been our immigration system's 'black-sites'; kept at arm’s length from the general public, out of sight, out of mind. For many years, this invisibility has meant that, following their release, the heavy psychological baggage many migrants bring back with them into the community has also gone unseen, unappreciated, unpacked. Perhaps, until now. For just as the Parliamentary Inquiry has highlighted the ongoing ill-effects of detention on individuals long after their release into the community, so too has it provoked a response from the communities themselves. For every participant with direct experience of detention at the group-evidence sessions we helped run, there was another who had never stepped foot in an IRC. They were there because they knew someone - maybe a family member, maybe a friend, neighbour, or a member of their church or mosque - who had been deeply affected by detention and they wanted to find out why. They were there because they represented local organisations who, in the absence of any structured governmental reintegration support, were trying to identify the needs of those recently released from detention. They were there because, like so many of us, they wanted an end.